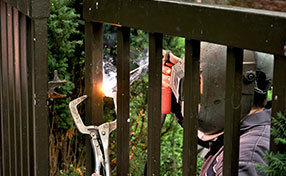 Our company Gate Repair Castaic is known throughout California for high quality services and products. We offer sharp response times, a great reputation throughout the local area, and a wide range of gate repair and installation services. 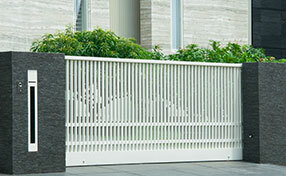 We are able to work with all kinds of residential and commercial gates including all swinging and sliding designs. Our company can ensure your commercial or residential gate is returned to perfect working condition. 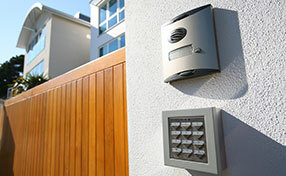 We can repair and install all types, brands and makes, in addition to all opener and intercom systems. Welcome to Gate Repair Castaic! We are a local provider of installation, maintenance and gate repair services for residential and commercial entrances and their various components. Our team of professional technicians are highly trained, have years of collective experience and are dedicated to ensuring that your home’s first line of security continually operates in a seamless manner, whether it needs restorations from damages or upkeep to keep it running smoothly. We also provide installations of new electric gates, motors, intercom systems and various other components related to their functionality. If you would like to know more about the services that we provide, feel free to contact one of our consultants today to enjoy the very best services in California! Keeping intruders from gaining unwanted access to your property requires a security solution that you can rely on to properly protect you and yours. That is why our company is here to provide you with gate installations that you can trust to keep you safe. We work closely with various leading manufacturers to ensure that you get the best possible selection of products and parts which are guaranteed to make your home safer and more convenient to secure. We can also provide you with installation services for various components such as openers, intercom systems, safety sensors, panels and receivers, so call us today if you are looking to better the security in your home. Ensuring that your electric gate continues to operate to your expectations and allowing for an extended lifespan requires careful maintenance to be conducted on them on a regular basis. Failing to do so will not only shorten the time needed before expensive repairs, but can also undermine your security efforts, leaving your home and family in danger. Let us assist you with realignments, inspections, lubrication and part replacements whenever they are needed, and you’ll be sure to get the most out of your system at home. With the assistance of our team of technicians, keeping yours properly maintained is as easy as making a call. So, speak to Gate Repair Castaic if you need help with any maintenance tasks. There comes a time in the life of every security gate when the ravages of old age, constant use, and extreme weather conditions take their toll. This may leave them ineffective, imbalanced and even unsafe to operate, resulting in avoidable injuries and damages. It can be all too tempting to allow these damages to worsen, or to seriously hamper the security, safety and protection of your home. Rust, rot and minor accidents are a common concern for gate owners, which is why it is essential to have a repair company that you can rely on to restore yours when it has been damaged. Friction from moving parts is also a common source for damages, especially when maintenance is overdue, but with our assistance, you don’t need to let break-downs become a cause for security issues in your home. If you are in need of timely repair services, speak to one of our technicians today about having your driveway entrance repaired with care. Our affiliation with a variety of manufacturers ensures that we always have the correct parts to ensure that your entrance can be properly repaired when it fails. Call Gate Repair Castaic Today for Assistance! So, if you need to have a new gate fitted to your driveway to boost your home’s protection and security efforts, are looking to automate it with an opener, require maintenance to ensure that it continues to work effectively and safely, or need professional assistance to ensure that repairs and restorations on your driveway gate are conducted properly and safely, we are here to help you. Call one of our consultants at Gate Repair Castaic today and chat with us for more information on our pricing and services, or simply ask us for advice on how best to take care of your system, when you might need maintenance, or which solution would best fit the needs of your home. All of our consultants are happy to help, and are waiting for your call. What Kind Of Power Should My Gate Have? The big question – where is your gate opener going to get its power? These days, most residential gate installations use low-voltage DC power with an attached, recharging battery. That battery needs its juice from somewhere, so where’s it going to be? Your two main options are: from your house, or from the sun. Nothing quite says luxury like a beautiful wrought iron gate that opens onto your property, as many homes in Castaic have. If you are considering a new gate installation, you will have several choices to make beginning with the material it will be made from and how the doors will open. Your gates perform a very important function especially when it comes to the protection and safety of your home and property. As you may know, a gateway is an entrance to your home as well as it’s often connected to the main access to get to your home.